There are many chores which we did at home regularly. Even before there were convenient machines to help us do these chores, we did them. But times have changed. Even with devices to help us, we are unable to find time to do these chores. Life has become very busy that most people hardly get time to spend with their families. Another important thing is the change in the attitude of people. People dislike doing unproductive daily work. Many people take their free time to indulge in their hobbies or other pastimes. Many use this time to spend with their families. On-demand mobile apps are a great help in getting people to do these works. On-Demand app development is a platform on mobiles for customers to get any service that they require. Users can download the app on mobile phones. The users can demand the service they need. They can either get the service immediately or schedule it for later, depending on the service they request. On-demand service apps have been gaining popularity in recent years. Uber is probably the pioneer in on-demand service apps. The on-demand cab booking is one of the best on-demand apps services is so successful that many other companies have launched their taxi services. Many other on-demand services are today available. There are on-demand services for everything from the purchase of daily needs to getting a relaxing massage at home. The concept is based on convenience and getting the facility where you wanted. This meant that mobile apps were the best platform for these services. 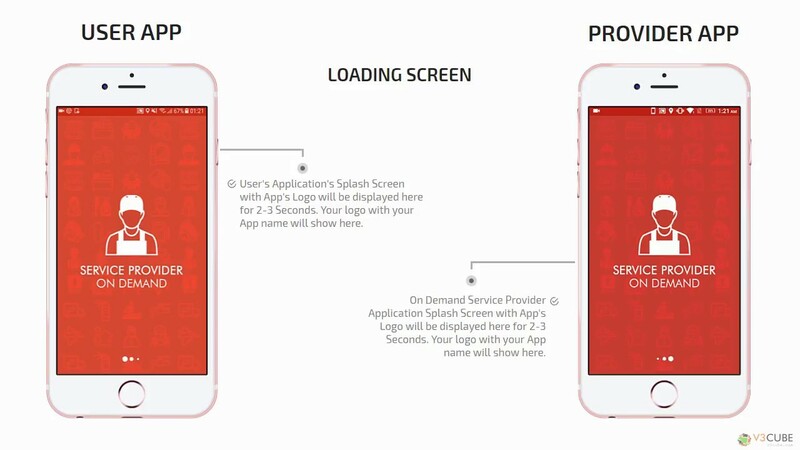 The apps allow people to choose the service quickly. Two phenomena made mobile apps the choicest platform for on-demand apps. Firstly, the spread of smartphones was so fast and wide that almost everyone had one in their hands. The wide availability of the internet is another thing that helped improve the popularity of mobile apps. The main advantage of mobile on-demand apps is that it addresses the pain points that affect people. The main problem people face today is a lack of time. There is also a need for convenience. A mobile app addresses both these problems. It offers to do the work for the people, and it ensures to deliver it at home. There are many types of conveniences that mobile app offers. Mobile apps help users take a decision fast. Every choice is available at the users’ fingertips. The mobile phone has everything they want. All they need to do is to press a few buttons. You can get a good app developed by a Custom Mobile App Development company. Customers can access the service very conveniently. From the screen of smartphones, they can request the service. They don’t have to make long telephone calls. There is no question of anything being misheard or misinterpreted. The app has the details, and they select from the choices given. One of the best advantages of such a service is the convenience it offers concerning payment. Most mobile apps provide multiple choices to make the payment. There is no need for carrying or exchanging cash. Users will have proof of payment on their phones. Customers get their requirements fast. Most of the delivery apps ensure to deliver the products within a short time. Moreover, customers will get what they want from the comfort of their home. They need not move anywhere or waste their time searching for the service or product they are looking for. With on-demand mobile app users can opt for the same service or products very quickly. The mobile apps will store a history of the users’ purchases. From the favorites section, users can easily select the products or services and make a repeat purchase conveniently. On-demand mobile apps also offer easy personalization. The apps will have the users’ details fed into it. There is no need to convey the details every time. The delivery persons can easily find the location from the app itself. An on-demand app addresses the pain points of the users. Users can take a decision quickly with the app as everything is available easily. Access to services is effortless. All the users need to do are a few clicks on the mobile app. There is no need for long telephone conversations to get service. The requests are very clear as there are no oral requests that can be heard or misunderstood. Payment is straightforward with a mobile app. There are multiple options available. The users get services or products within a short time. The services are available at their homes. There is no need to move from home. Repeat orders are easy as the app will store your orders. You can select from the favorites. Personalization is easy. You need to fill your details only once. Most apps have geo-tagging which makes finding your location easy. Building an on-demand app is probably one of the best businesses today. It is especially suitable for startups. They can find the services that people seek most. Certain services can be offered to remove the difficulties of people. These services will have great acceptance from users. The startup should find out which are the services that people need the most. There are certain tasks which people must do. But either they don’t find the time, or they would like to use the time for something more interesting. If you can find the tasks, then you can offer these as on-demand service. There are three such tasks which we must do but feel too lazy to do or find no time to do. Washing the cars, doing the laundry and home services. All of these are time-consuming jobs. Moreover, you also can do the job better if you have the right tools for the job. People would like to hand over these jobs to qualified and skilled people. All these three tasks are suitable for offering on-demand service. There are mobile apps available for these tasks. But there is still good scope for these jobs because the demand is there. If you can offer quality service, then your app can surely fetch you a good earning. All you need to do is to get on board good service providers. There are some tasks which people would like to get someone else to do. They either don’t get time to do it or are too tired after their office work. People like to use their spare time for doing things they find exciting or spend with family. Washing cars, doing laundry and home services are three options for providing on-demand services. Though there are on-demand services available there is still scope for more service providers. The essential thing is to get good service providers on board. 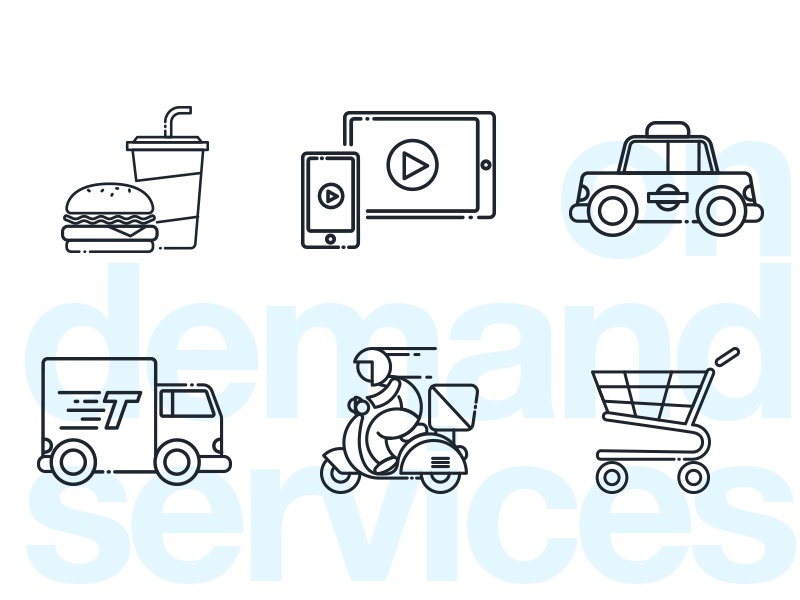 We shall see the development of an on-demand app for each of these services separately. But before that, we need to see some of the features that you have to include for an on-demand app. These are also some things which you must take care when you start an on-demand service. Hiring the services of an excellent mobile app development firm is only half the job. The first thing in an on-demand business is to get the service provider. Selecting the local service provider for each area is wise. They will be able to deliver the service faster. They will know the area very well. You should take care to get good service providers on board because your reputation depends on their service. In all the three services, the service providers will be handling the property of the customers. You must ensure that the service providers handle the properties well. You should find out about these companies or individuals before you can get them on board your app. Surveying each of these areas will be good. You should find out about the resources these companies have before you take them on board. These companies must have transport facilities for reaching customers. You should do car washing and home services at the customers’ place. The person should be able to reach the customers quickly. Find local service providers for quick service to the customers. Get good service providers as your reputation depends on how they provide service. As the companies are handling customers’ properties ensure you select companies who have a good reputation. Surveying the particular areas will be good to find about the companies. You should know about the resources the companies have for providing quick service. Ensure that the service providers can send their person quickly to the customer. Speed is essential in on-demand service. Before you get the service providers on board, you have to get the rules written very clearly. There shall not be any ambiguity about how the system works. You must tell them how much your commission will be. At the beginning keeping the commission low is better. It will attract service providers. You should specify what the responsibilities of the service provider are. You must specify who will suffer the losses when it comes to any damage or delay. There may be occasions when the customer might cancel an order. There should be a clear understanding of how you will share the losses. It is better for you to collect all payments as the app must provide multiple payment channels. You can have an arrangement with your service providers regarding the period within which you will settle the amount to these companies. You can reduce your commission and pay the balance. The app must have a feature to record all the payments received and paid to the service provider. It should also show the total amount and your commission. It is better to keep all the dealings full transparent. The service provider must be able to see the payment history. You should lay down the rules before getting a company on board. There should be a clear understanding of who will be responsible for what activities. There can be damage or delay in service. You should decide who will cover the losses. You must specify how you will manage orders canceled by the customers. You must collect all payments and pass them on to the service provider within a fixed period. You can reduce your commission and pay the balance to the company. The app must show the payment history on both your panel and the service provider’s panel. You can have the app show the nearest service providers available when the customers search. But you can allow the customers the freedom of choosing the company. It will remove the burden from your side. Customers can view the details of the service provider and decide whom they want. After a few times, customers will develop their favorite providers. It will help to build a relationship. It will also help to create a competitive environment among the service providers. All the companies will provide better service to earn customers. Provide in-app chat and call facilities to allow customers to talk to service providers. In many cases, this will help to solve half the problems. Customers will be happy to speak to them directly and make special requests. The app should facilitate customers to post reviews about service providers. The ratings and reviews will help good service providers earn more customers. Allow direct link from the app to social media sites to share the reviews. The app should show the customers the nearby service providers. Allow customers to choose the company they prefer. All details about the companies must be available on the mobile app. When customers are happy with the service of a company, they can continue to use them. This system will encourage all companies to perform well. There will be a competitive environment for service providers. Provide in-app chat and call facility for customers to communicate with the companies. Provide a facility for customers to rate and review the service providers. Provide links to social media accounts for sharing reviews. The business mobile app development company must build different panels for each entity. Each of these panels must have all the features that make it easy for use. The registration/login page must be simple and easy. The user panel must give direct access to all the services provided. Integration of calendar and payment options should be smooth. Personalization should be easy. Allowing registration using social media accounts will make it easy for users. It will also give more credibility to the user. The service provider panel must have the option to accept or reject an order. They must be able to calculate and inform the cost easily. The service provider’s app must include order and payment history. They must be able to upload their photos and other details. As the admin, you must be able to control all the activities. You must approve the registration of users and companies. You must have the choice to reject or discontinue any user or service provider at any time. Provide separate panels for user, service provider and admin. Enable quick registration and log in. Allow user registration through social media account. The service provider app must have the facility to accept or reject an order. They must be able to view order and payment history. The service provider app must enable them to upload photos and details of their business. The admin will have the power to accept or reject registrations. Admin can also discontinue the user or company any time. The app should allow live tracking of order. Customers must be able to see what stage their order is. If the delivery or the service person is on the way, customers must be able to know when exactly he or she will arrive at the user’s house. Customers will feel they are in control of the service. You should integrate a calendar with the app. It will help customers to schedule the service. They can schedule a time and date for picking up the laundry. They can plan the washing of their cars when they have no use for it. People will like to plan home services when they are home so that they can see that the service person does work correctly. Provide all the popular payment modes like credit cards, e-wallets, etc. It will ensure that there is the least use of cash. Using cash is always risky. There are also chances of misinformation and misunderstanding. It is a feature of mobile apps that can provide many benefits to you. If you use this wisely, you will gain the loyalty of many customers. The push notification can be used to get feedback from the customers once the service provider completes the job. This way you will ensure that the customer is satisfied with the work. Another way to use push notification is to inform customers about any offer or discounts. You may make offers for regular customers. You can also provide coupons for customers which they can use to get discounts. There can also be special prices for specific services that you may want to promote. You can inform your customers regarding the addition of any new service provider through push notification. There can be changes in service prices. Some of your service providers may have added new services. You can inform all these through push notification. Use push notification for getting feedback from customers. Inform discounts or offers to customers. Push notification can be used to send coupons or special prices for certain services. You can inform the addition of service providers or new services using push notification. 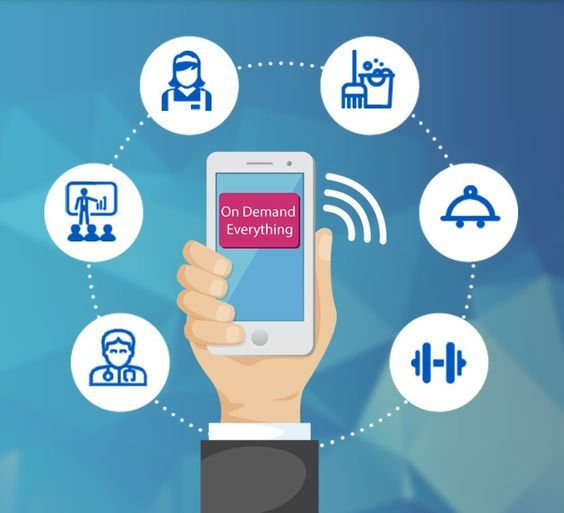 Now that we have seen the standard features that are required by any on-demand app, let us go into detail and see what special features each of these services will require. Most people keep doing laundry for the weekend. This means that their weekend is wholly taken up by this task. It is not a chore that they can complete in a short time. People would like someone else to do the job for them. You must include certain unique features in the on-demand laundry service app. There should be a provision to choose between various services like washing, dry cleaning, ironing, etc. There must be provision to select the garment type, fabric type, etc. so that the cleaners know how much to charge. Users must be able to feed specific special requests like using fabric conditioner, stain removal, etc. The user must be able to upload photos in the app to show where the stains are. The service providers must offer regular and urgent services. Users must know in advance how long the service will take and how much it will cost. Nobody likes their cars to look dirty. However, washing one’s car is a difficult job. It takes time, and you need the tools and accessories for the cleaning. If a car wash service app is available in the market, customers will surely go for it. Let us see the special requirements for this service. The app should provide multiple services like different types of washes. The customer must be able to get the job done at their location. This will require GPS integration in the app. Users must be able to track their orders live. There must be an arrangement for the service person to access the car even in the absence of the owner. The service provider must make arrangements for power and water. Once the job is over the service provider must upload a photo and send it to the car owner. As an admin, you must be very careful about the companies you on board for the service. They must provide both quality service and quality products. You must get companies to offer all kinds of home services. The people whom the company sends must be trustworthy. Provide in-app chat and calls for clear communication about the service required. For home cleaning work, the app must give rates by area of work done. Provide individual rates for different types of on-demand house cleaning work. Have a facility for the service provider to give a rough estimate. They can provide the exact price after they complete the work. Have the service provider provide a detailed bill for each item – products supplied, and services provided. The above three services have ample scope for more players. The market is expanding with more people inclined to get their work done by others. People like to have free time in their hands. If you can provide the services at a reasonable price, you can surely hope to make this a good business. Hire A Mobile App Developer who can build apps as per your request. Ease of use must be the main focus when you create the app. Users must be able to navigate through the various sections easily. The billing should be transparent to earn the trust of the users. You must encourage users to review the app and post in their social media accounts. How GPS Helps In Better Fleet Management?